Home Technology How to Enable Facebook Messenger app secret dark Mode? 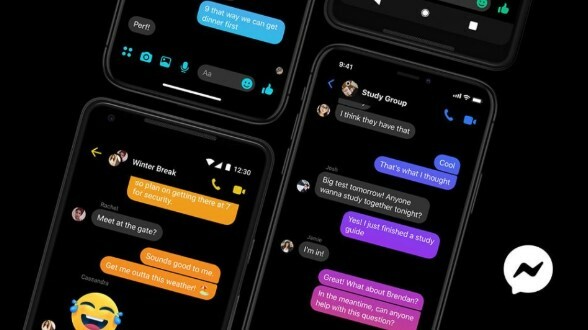 How to Enable Facebook Messenger app secret dark mode? Facebook Messenger App has a secret Dark Mode which can an enable to enjoy the Black theme on Facebook Messenger App. Facebook is working to Activate the black mode (Dark Mode) System from last 6 months and finally, they launched the System in March 2019. Now the people can enable Facebook Messenger Dark Mode easily from their Messenger App. users can finally access the long-awaited ‘dark mode’ in Facebook’s Messenger app for Android and iOS, with the feature arriving as a fun Easter egg for those who follow a few simple steps, as noted on Reddit. 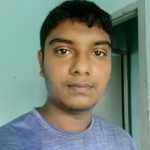 How to enable Facebook Secret Dark Mode in Messenger App? To unlock the dark mode in Facebook Messenger, you must first send a message to someone you know (or even yourself) that consists exclusively of a crescent-shaped moon emoji (the one that looks like this: ☽). Once you will send this Message to anyone, the Service Setting will visible on the top of the Screen. Once you’ve done the above step (Send Moon Emoji to Someone), several moon emoji will rain down over your conversation screen. It is letting you know that the feature has been unlocked and can be toggled on or off within the app’s settings menu. No more tasks were available. You can now enable or Disable the service quickly from the Setting. Currently, All Facebook users including the Messenger users of Android & Apple can enable this setting on their Phone via enabling the Secret tricks. After all, you have enabled the Facebook Black mode in your Messenger – We know. Next articleHow to enable dark mode on Chrome for Windows 10?